Foreign policy white papers traditionally do two things: provide a philosophical statement of how the country sees the international environment and its role in it, then describe how it will carry out foreign relations with other nations. Australia’s new ‘Foreign Policy White Paper: Opportunity, Security, Strength’ does this, but also much more. 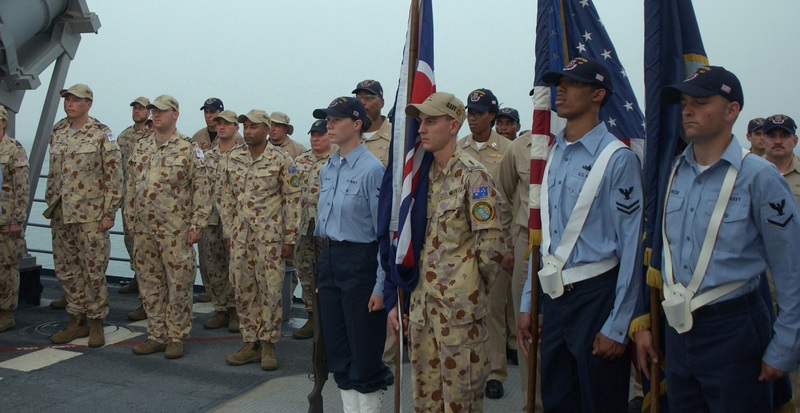 Those familiar with Australia’s evolving national security priorities will recognise much of the policy and language in the theoretical foundation for the white paper. The values of rule of law, democracy, freedom of speech, and open society firmly announce Australia’s ideological position at a time when these principles and institutions are under attack. Just how to articulate Australian values has been an issue of ongoing debate in relation to countering violent extremism. From a national policy point of view, the answer is now provided in this key policy document. But these values also provide the basis for dealing with the broad array of political, social, economic and environmental matters of interest to Australia. “Keeping Australians safe, secure and free” heralds a chapter devoted to explaining how Australia deals with non-traditional security threats such as terrorism, cyber and organised crime. It also discusses the national arrangements driving how Australia will engage on these issues in the region and globally. While the content of this section provides little that is new, it is unusual to see national security issues included in this way in the nation’s key foreign policy document. Australia doesn’t have a national security white paper, at least, not yet—although this would be a welcome product from the forthcoming Home Affairs portfolio. 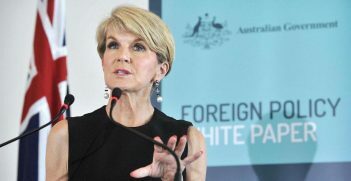 But by citing the Council of Australian Government’s (COAG) Counter-Terrorism Strategy—extant Australia’s border protection and migration policies, and Australia’s approach to tackling organised crime, foreign interference and managing cyber security—the white paper has effectively brought these disparate activities into a succinct statement of nationally agreed priorities with the support of all government agencies. 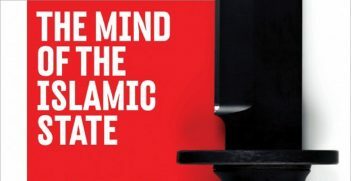 After a decade and a half of countering terrorism in Afghanistan and more recently the Middle East, the white paper clearly establishes the region as the priority area for Australia’s counterterrorism focus. While Australia will continue to play an active role in countering terrorism globally, the white paper frames this as part of a continuum of local, regional and global action. This comprehensive and strategic treatment of Australia’s approach to counterterrorism is important. While the 2015 COAG strategy outlined five areas of counterterrorism activity, it essentially only described what the Commonwealth, states and territories were already doing, rather than setting new directions or requiring agencies to follow its guidance. The following year’s Defence White Paper, for example, mentioned terrorism more than a 100 times as a threat but did not identify counterterrorism as a particular task or priority for Defence. 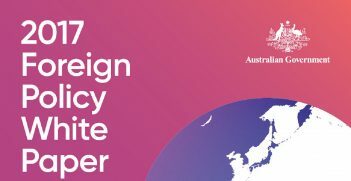 The Foreign Policy White Paper, by contrast, captures the COAG priorities as well as other areas such as ADF operations, legislation, law enforcement collaboration and regional engagement as key elements of Australia’s approach to counterterrorism. Border security and countering transnational organised crime are similarly presented, noting the critical role of regional and global cooperation, and bringing multilateral institutions to the fore. The four-part border security response includes border protection and countering people smuggling, both to Australia and in the region. Critics of Australia’s security-focused approach might, however, miss the other two features: the white paper’s commitment to maintaining Australia’s permanent refugee resettlement program—which makes Australia consistently the world’s third-largest resettler of refugees—and supporting displaced persons close to their homes. Both initiatives align with the United Nations High Commissioner for Refugees’ priorities. Bilateral engagement is set to increase to address transnational organised crime. The white paper describes increased development assistance to support governance and rule-of-law capacity building, as well as continuing joint investigative collaboration with key countries. Multilateral institutions are highlighted as being of continuing importance and attracting Australia’s ongoing commitment. The paper also consciously addresses the issue of foreign interference in Australian institutions and business, sending a clear message that the government is aware of and dealing with this re-emerging issue. While no specific countries are mentioned, recent investigations and media reports have brought attention to Chinese and Russian influence. With a nod to the soon-to-be established Home Affairs portfolio, the white paper refers to the three key elements of national strategy: foreign affairs, defence and national security. We’ll likely hear much more of this trio in the future. Overall, the new white paper provides a broad and comprehensive statement of Australia’s national security strategy in a way unlike any other document seen in recent years. In this, it captures a range of policy and action that has developed across government in the post-9/11 era and provides clear and welcome strategic guidance and direction for the way ahead.